The Ambassadors are the public relations representatives for the Chamber. Part of the Ambassador's Mission is to promote, refer and connect with our existing members and to introduce prospective members to the Chamber. As an Ambassador you will be a mentor to both new and existing members by keeping them updated on Chamber activities and answering questions as to the value of their Chamber Membership. It is a pleasure to work with each and every one of our Ambassadors. 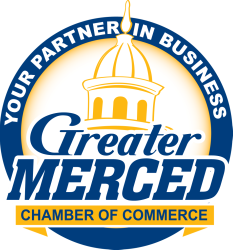 We appreciate the time and energy you put forth in making the Greater Merced Chamber of Commerce the leading business organization in the region. Our goal is to work with our business leaders - the Economic Engines of this community - and to promote and support their efforts. If you would like to get more involved become an Ambassador today. Click here for an Application to join the Ambassadors.